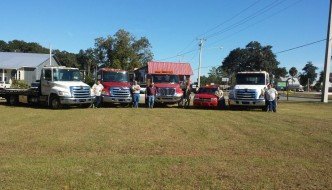 Our Goal is to be Lake City’s Top Rated Towing Company! 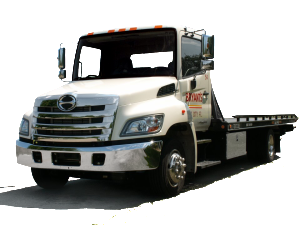 Bryant’s towing has been around for 35 years and has serviced thousands of customers with excellent service. We are looking to improve our ratings on Google, Facebook, and Yelp so that customers can make an informed decision before they request service from another towing company. 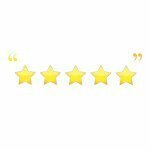 If you have been towed by Bryant’s Towing in the past 35 years we would like to ask you to leave us a review. Go to plus.google.com/local and sign in with your Google account. If you are a new user, click on “Create an Account” and follow the directions to set up an account. Click the Write a review button next to the cover photo. Rate different aspects of the place using the 1 to 5 star scale, and write any information that you think will be helpful in the text box. When you’re done, click Publish. Any reviews that you write will be public and attributed to your Google+ name. You can share any review that you’ve written with your circles. Visit our business page that you have reviewed. Click the share button at the bottom of the review. A share box will appear that allows you to add comments and choose circles or people to share with. Click +Add more people then select a circle or type the name of individual people you’d like to share your post with. If you’d like to remove a circle or person, click the X next to their name. When you’re ready to post, click Share. Visit our Facebook Page. Sign in to Facebook or create an account. Go about halfway down the page and click on the Stars. You will see a star rating under the Cover Image on the left hand side of the Page Timeline. Select the “Write A Review” Button. Select the “Write A Review” button on the right hand side of the Page. Visit our page on Yelp. Click on the red button that reads “Write a Review“. Roll over the stars rating to select between 1 and 5 stars. Write a review of your service. Click on the Sign Up and Post button in the bottom right corner.